We are back with the 5 millennial articles you need in your life! 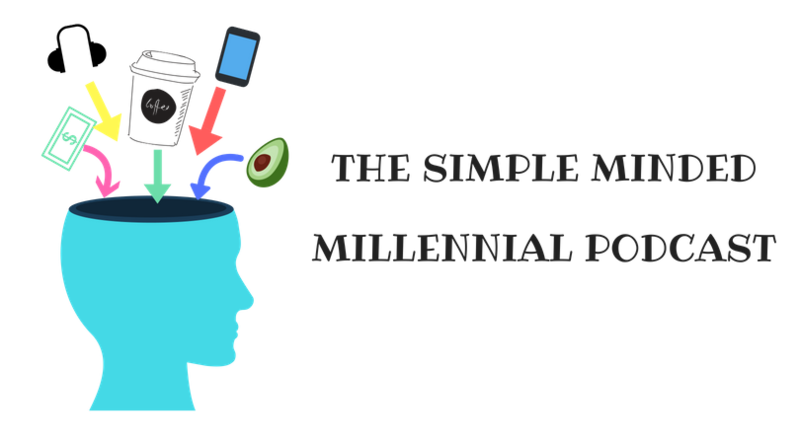 Simple Minded Millennial has been on hiatus, but we are back in full swing! Our holiday season was wonderful, despite us both getting a bout of sickness. We hope you had a wonderful break! We’ve read SO many great articles from millennials over the holidays, it was hard to narrow it down. Our last episode, we discussed ways to dominate 2019, so below are some awesome posts about crushing goals, reflecting on 2018, and how to prepare to have an awesome 2019! Looking for ways to boost your saving in 2019? This post is a great place to get inspired to start cutting expenses. I did #6, it only took an hour or so, and I shaved nearly $100 off my monthly bills! It’s crazy how every little bit adds up. Money Buffalo has tons of tricks to start saving more money! He also lives in the great state of TN, so clearly he is my best friend. My personal finance soup snake had an incredible 2018! She got to meet me (the highlight of her year), IS GROWING A BABY (close second highlight to meeting me), AND paid $20k towards her student loan debt. TWENTY-THOUSAND DOLLARS. On a therapist/nanny and teaching salary. She is incredible. Reading about her accomplishments in 2018 was crazy motivating. I am ALLLL about reading about other’s goals. Yearly goal re-cap posts are my favorite. It’s always fascinating to see different variations of goals and people’s methods to crush them. And JP freaking maxed out her 401(k) so she’s clearly a badass. Check out her goal recap and get motivated to save for retirement. FI Mechanic is the best new personal finance blog on the scene. This post has incredible travel photos, some sweet graphs, and actual snapshots of her spending from Personal Capital. And not to spoil anything but SHE SPENT UNDER $20K IN ONE YEAR. WHAT. How do people live on so little? Seriously. Josh had one heck of a year. And the travel accomplished this year is #goals. Despite his bumpy year at his job, he still looked back at 2018 positively and summed it up as his best year. How was your 2018? And what are your goals for 2019!? Thanks for posting my article and you could save some money. That’s a great way to start the week! Yes, can’t disagree with TN being a great place to live (and visit).